Laney has found a wonderful home with Soraya and we wish them a great future together! Homebred 16.3hh, 4 years old, bay mare by Furst Romancier, out of a Don Schufro mare. This eyecatching horse has 3 super gaits with a fantastic hind leg. Laney has won the qualifer for the Shearwater Young Horse Championships at Hartpury & has qualified for the Nationals in the 4 year old YH Class! She gets super comments from the judges and from everyone who sees her! 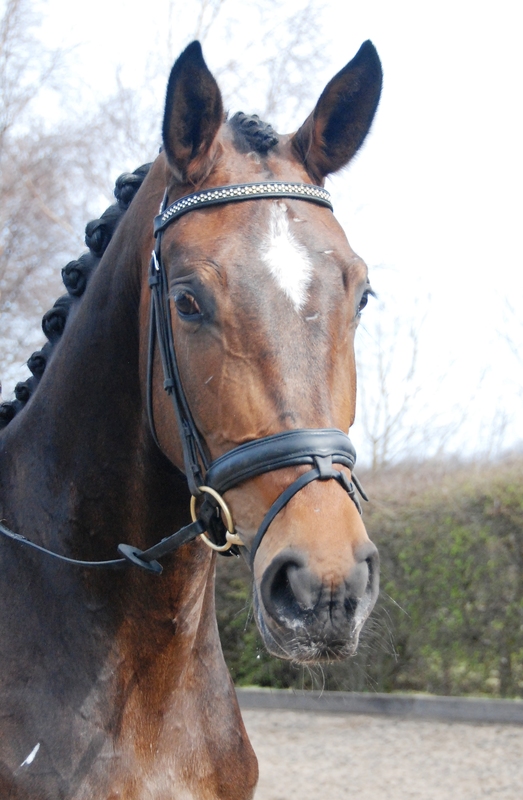 She has a great temperament, is very trainable and straightforward, enjoys hacking out and is good to do in all ways. A real star for the future.